Do you want to grow a community who loves to watch, comment, and subscribe to your channel? Strengthen ties with your gaming audience today! YouTube is a platform where fans sometimes consider their favorite creators to be like friends. This often happens because videos make viewers feel like they’re included in what’s happening on-screen. One of the best ways to do this is to be conversational, or speak directly to your audience -- like they are present in the room. Try going beyond game play in videos to give your audience a slice of your real life and personality too! Successful creators have found the more you address your audience, the more comfortable and confident you’ll feel and the easier it will be for them to support and relate to you. You can use built-in tools, like the comments section of each video or the chat stream during a live stream to interact one-on-one with your audience. Or, invite them to play games with you! During a live stream, if you have someone helping monitor your chat’s stream, ensure they have a strong presence -- after all, they’re managing your community while you stream. They can be an engaging (or off-putting) part of your live stream, so be choosy about who you get to help. Review your YouTube Analytics to get a sense of what your audience enjoys. OpticJ lets viewers know where he’s playing so they can join in the game live. SSSniperWolf goes beyond the game and produces “Ask Wolf” segments where she talks about hot topics requested by her audience like dating, body image, and of course, gaming. Sharing a secret language, phrase, gesture, or even hashtag (#) with your audience can make them feel like they’re part of an exclusive club. Many creators have found that using simple but specific keywords or catch phrases related to their channel can help build audience engagement, inclusiveness and community. It might take more than one use for your audience to recognize your “insider” lingo. So be sure to emphasize your special words or phrases throughout each of your videos until your audience starts using them too. Go beyond language and try using body language too. Creators have even used unique hand gestures at the end of videos that their fans recognize and repeat. Some creators have even gone beyond using insider language in their videos and created merchandise with their select phrases or slogans on it. You might consider this when inventing your insider words or phrases -- can you see yourself repping this on a T-shirt or a hat? This creator, stemming from the Netherlands, refers to his fans as “Kops”. 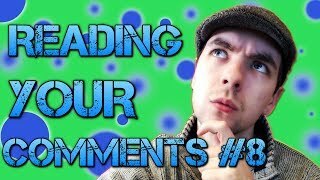 Jacksepticeye uses catch phrases “like a boss” throughout his channel and now his subscribers use that phrase in their comments to him. There are many opportunities for creators to go beyond the game and do something special for their community. 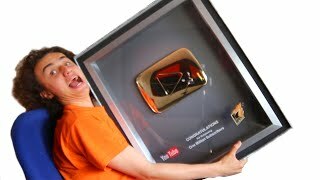 Often YouTubers will upload something special to recognize their top fans or to say thank you when they’ve reached a milestone. Remember, you don’t always have to wait for the right numbers, if you’re inspired by a fan interaction or comment, respond to it! Consider ways that you can treat your audience like making a commemorative video, hosting an exclusive live stream or inviting them to play on-screen with you. You can research local in-person events like gaming conventions and conferences to connect one-on-one with your audience. Ask your subscribers if they’ll be attending and consider hosting a meetup to solidify your relationship with them and build meaningful connections. Don’t forget about your gaming community and the other folks you play with. Can you dedicate a segment to highlight your besties on-screen? Be on the lookout for creator to creator events where you can schmooze with other YouTube creators and set up collaborations!